© Kimi Talvitie; NASA; Mark Brake/Getty Images; Samantha Lee/Business InsiderElon Musk and SpaceX are developing a stainless-steel rocket ship called Starship. SpaceX is developing a giant, fully reusable launch system called Starship to ferry people to and from Mars. Elon Musk, the aerospace company’s founder, said he recently made “radical” changes to the spacecraft’s design. One change gives Starship a stainless-steel body. The other is a heat shield that will “bleed” liquid during landing to cool off the spaceship and prevent it from burning up. But aerospace experts anticipate huge challenges for Starship, including clogs in heat-shield pores that could destroy the spacecraft. A chief engineer at NASA said landing Starship full of people on Mars may be about 100 times as difficult as the hardest thing the agency has ever done at the red planet. SpaceX, the aerospace company founded by Elon Musk, is working diligently on a wildly ambitious project: to permanently settle people on Mars. 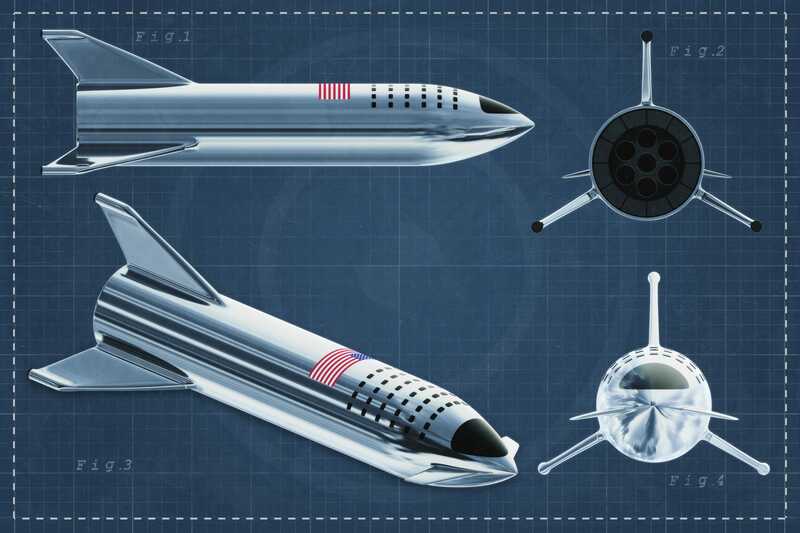 To help make that vision a reality, Musk’s company is developing a colossal, fully reusable launch system called Starship. Starship is envisioned as a 180-foot-tall spaceship that will ride into orbit atop Super Heavy, a rocket booster about 220 feet tall, according to Musk’s latest descriptions. The spaceship is designed to be refueled in low-Earth orbit in order to propel 100 passengers and more than 100 tons of cargo at a time to Mars. One change involves building the spaceship from stainless-steel alloys instead of carbon-fibre composites. But the most surprising shift, according to aerospace-industry experts, is the way Starship will try to keep itself from burning up in the atmospheres of Mars and Earth. Instead of relying on of thousands of heavy ceramic tiles to shield Starship from heat, as NASA did with its space shuttle, Musk says the spaceship will “bleed” rocket fuel through tiny pores to cool itself down. In theory, putting liquid between Starship’s steel skin and the scorching-hot plasma generated while it plows through atmospheric gases would prevent the ship’s destruction. But whether SpaceX can pull off a launch system of this unprecedented size and design remains to be seen, says Walt Engelund, an aerospace engineer and the director of the Space Technology and Exploration Directorate at NASA Langley. “It won’t be easy for us or SpaceX,” Engelund said. Musk thinks he can build a self-sufficient city on the red planet by 2050. He wants individual tickets to Mars to be as cheap as a house on Earth, and for return trips to be free. The Starship-Super Heavy launch system is the way Musk plans to achieve that goal, and he said the switch to stainless-steel alloys is a way to keep costs down and build the system more quickly. “Starship will look like liquid silver,” Musk said of the change in December, adding that the ship will have a mirror-polish finish to help reflect heat – a literal case of cool factor. 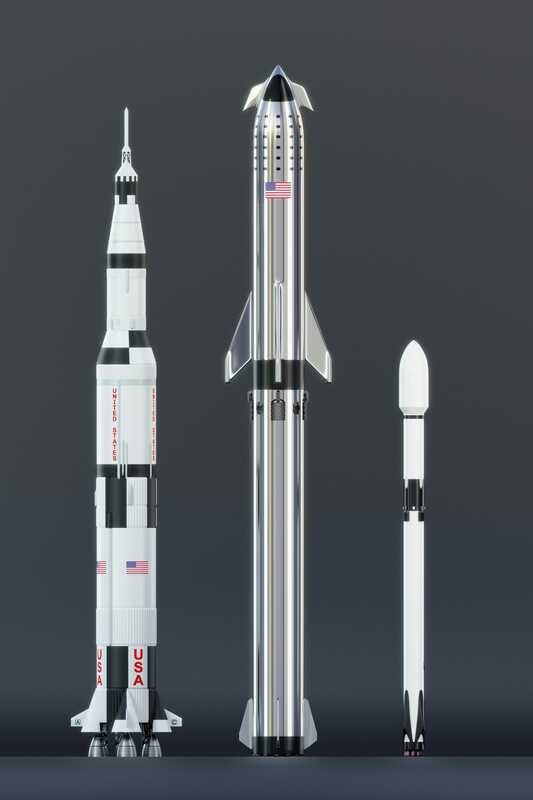 © Kimi TalvitieAn illustration of SpaceX’s upcoming Starship spaceship and Super Heavy rocket booster (center) next to NASA’s Saturn V moon rocket (left) and SpaceX’s Falcon 9 rocket (right). In an interview with Popular Mechanics, Musk explained that steel is about 67 times as cheap by weight as the lightweight yet superstrong carbon-fibre composites that SpaceX had planned to use as late as September. Steel is also easier to work with than carbon fibre, allows for faster prototyping, and stands up better to intense heat. What’s more, Musk said, steel’s strength is “boosted by 50%” when it touches ultracold liquids, including the cryogenic methane and oxygen that Starship might use to propel itself through space. Read more: SpaceX test-fired a Raptor rocket engine with ‘insane power’ for moon and Mars missions. The future of Musk’s company may ride on its unrivalled performance. The problem with steel, though, is that the material is dense and heavy. At least one early version of General Dynamics’ Atlas missile, which was made from the metal, crumpled under its own weight on a launchpad. Yet Musk has suggested that SpaceX’s use of steel is much different and will make the redesigned Starship stronger, more durable, and less heavy. Ultimately, he said, the material change will improve the rocket ship’s performance over the old design. “I’m confident that a stainless steel ship will be lighter than advanced aluminium or carbon fibre, because of strength to weight vs temperature & reduced need for heat shielding,” Musk tweeted in January. But as tough as steel is, it’s not invincible, especially when it forms the skin of a spacecraft screaming through atmospheric gases. © Kimi TalvitieAn illustration of SpaceX’s upcoming Starship spaceship and Super Heavy rocket booster. Musk says the launch system will be crafted from stainless-steel alloys polished to a mirror-like finish. Starship could enter through Mars’ and Earth’s atmospheres at 19,000 mph. At such speeds, Musk said, parts of the ship’s underbelly, such as its nose, could be exposed to temperatures of about 2,700 degrees Fahrenheit. That’s enough heat to destroy the steel alloy that Musk said SpaceX might use for Starship’s outer skin. Called 310S, the material is often billed as a heat-resistant metal, since it has a lot of chromium and nickel blended into it. (It’s not unlike the steel used in kitchen pots and pans.) But 310S steel nonetheless starts to react with oxygen and corrode at about 2,000 degrees and melts at about 2,400. The rocket ship needs protection from the intense heat, which is why Musk’s plans call for Starship’s body to cool itself using liquid fuel during landing. Musk told Popular Mechanics that he decided to forgo space-shuttle-like thermal tiles to save weight and avoid the risk that a damaged or lost tile could compromise a heat shield. 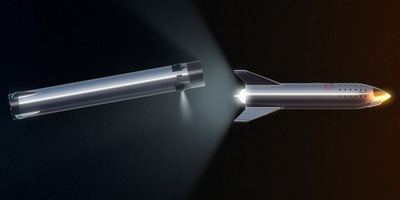 Instead, he explained, Starship would “bleed” or sweat rocket fuel from tiny holes in its steel skin, and that liquid layer would carry away the scorching heat of atmospheric entry. He added that the heat shield would do double duty by strengthening Starship’s steel body. “To the best of my knowledge, this has never been proposed before,” Musk said. 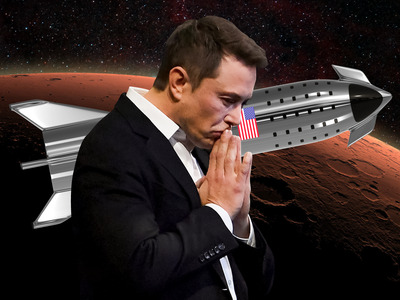 Experts told Business Insider that Musk is correct that no spaceship has ever launched into orbit and returned to Earth using such a heat shield. But the concept of sweating or “transpirational” thermal protection is not novel, and it has a history of being an incredibly tricky engineering challenge. © Kimi TalvitieMusk says the Starship launch system will be polished to a mirror-like finish. Transpirational or “active” cooling has been around for millions of years in the form of mammalian skin. When human body temperatures rise too high, for instance, microscopic pores push out sweat. This liquid then evaporates to carry away excess warmth and prevent overheating. As far as sweating spacecraft are concerned, NASA began toying with the nature-inspired cooling system before landing astronauts on the moon. “The idea of transpirational cooling is not new. That’s been around for decades,” Engelund said. One patent filed by NASA in 1965 suggested using astronaut urine to cool down a heat shield on the bottom of a space capsule. As late as 2006, the space agency spent at least $US70,000 on research into an inflatable, transpiration-cooled heat shield that could help land spacecraft on Mars. “Sweating” spacecraft also played a role in the Cold War arms race. In March 1976, the US Department of Defence test-launched a transpiration-cooled nose tip for reentry vehicles. Such reentry vehicles are made to fly into space atop intercontinental ballistic missiles, reenter Earth’s atmosphere at thousands of miles per hour, and strike distant targets with nuclear warheads. But according to US Air Force historical documents, the project was canceled later in the 1970s because of limited funding and “design problems that had plagued the development effort.” Engineers instead opted for simpler “ablative” heat shields that insulate a vehicle by burning away during reentry. In other words, a challenge commonly faced by teenage skin: clogged pores. 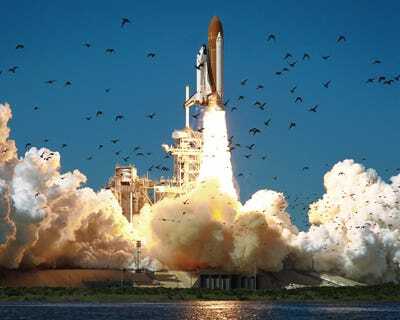 NASANASA’s space shuttle Challenger launches from Cape Canaveral, Florida, on January 28, 1986, disturbing nearby flocks of birds. Several experts told Business Insider they were concerned about the problem of blockage in Starship’s heat-shield design. “You can imagine it wouldn’t take much to clog something like that, if they were microscopic pores,” Engelund said. Dwayne Day, who helped investigate the loss of NASA’s Columbia space shuttle and its crew, imagined one annoyingly common scenario that the Starship would face at any launch site on Earth. “What if a bird poops on your rocket and it plugs up a few holes, and then when the thing is returning, no coolant comes out of those holes and that section of the vehicle overheats?” Day wrote in an email to Business Insider. Engelund said he’s seen issues with clogged coolant systems in tests performed inside NASA’s hypersonic wind tunnels. During such experiments, scale models of vehicles are put in the tunnel – which can blow air at thousands of miles per hour – to study how they perform. Some of the test runs involved heat shields that pump liquids through channels just below the model’s skin to cool it off, but not all models survived. Musk has said that using methane as a coolant might be better than water. “Rapid water vaporisation can counter-intuitively cause it to snap freeze & block cooling channels,” he said in a Tweet last month. But Engelund also sees challenges with the methane option. When exposed to high temperatures, carbon atoms in hydrocarbon fuel (like methane) can “coke” or stick together and turn solid. Such debris can then block fine structures like pores. “I would be very worried about that,” Engelund said, adding that another big concern would be impurities in fuels, which can also lead to clogs. On top of issues like bird droppings and clogging, there’s the fine dust that blows across Mars. This could get lodged inside Starship’s fuel-oozing pores, and it may be difficult to find and remove those blockages while on the red planet. Can Starship take the heat? But Musk said in December that he would “provide a detailed explanation in March/April,” pending successful launches of a “test hopper” prototype that the company is building in Texas. In the meantime, Musk shared a video (above) that appears to show the testing of a metallic heat shield for Starship. It’s still unclear how much research SpaceX has performed on the transpirational-cooling concept. If it doesn’t work, Engelund said, it’s not necessarily a dead end for Musk’s Starship. SpaceX also expects constant tweaks and changes as engineers work to make Starship a reality. “We are using the same rapid iteration in design approach that led to the success on the Falcon 1, Falcon 9, Falcon Heavy, and Dragon programs,” a company representative told Business Insider in an email, referring to the company’s latest rocket and spaceship designs. But SpaceX rejects any comparisons between Starship and NASA’s Curiosity rover. Despite the high hurdles SpaceX appears to face in its quest to launch and land Starship on Mars, no expert we spoke with said SpaceX’s system was implausible.